Huddah Monroe won’t take criticisms lying down, the petite socialite fired back when a hater decided to launch unprovoked attack on her. 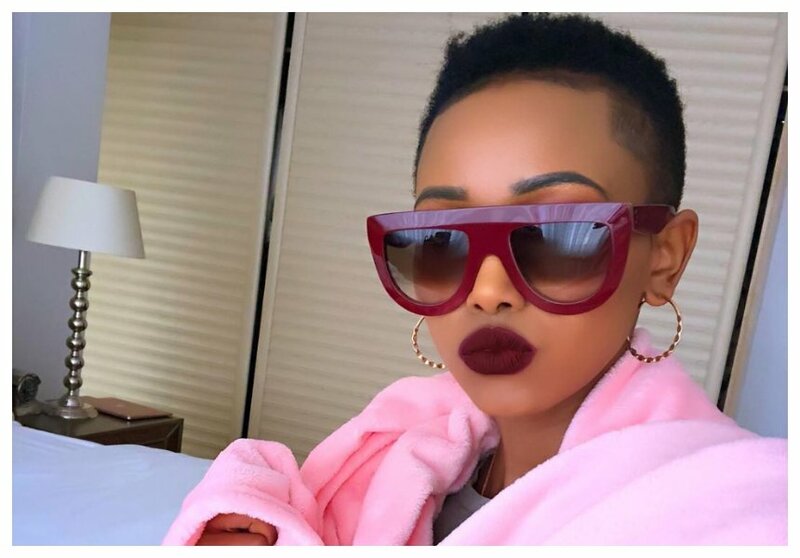 Huddah locked horns with a critic on social media who decided to ask her if she wasn’t getting more likes on her posts on Instagram. 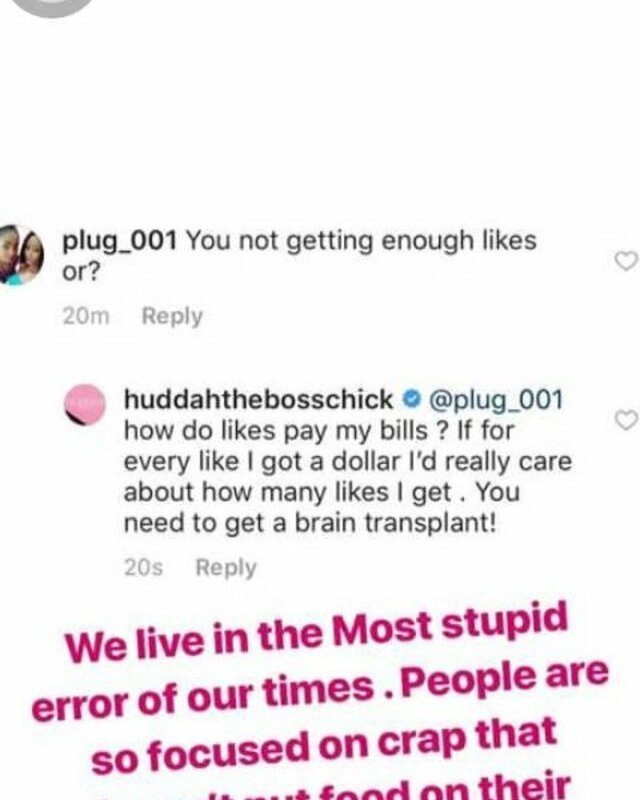 “‘You not getting enough likes or?’’ the critic identified as Plug 001 commented on Huddah’s post. Huddah caught hormones for days and she decided to fire back at the critic. The socialite asked the critic whether likes pay bills. She then went on to suggest that the critic should undergo a brain transplant. “How do likes pay my bills? If for every like I got a dollar, I’d really care about how many likes I get. You need to get a brain transplant!” Huddah hit back.